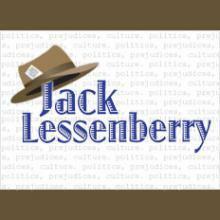 Jack Lessenberry for Thursday, February 23, 2017. I’m not often astonished by the things legislators do, especially since our politics have been afflicted by the disease of term limits, a condition that means virtually none of those in leadership positions have enough experience to properly do their jobs. While one Democrat from the Upper Peninsula supported it, a dozen Republicans thumbed their noses at the Speaker and voted "no." When I learned about this, I had to check to make sure the world was still spinning on its axis and I was actually awake. A dozen Republicans defied a Republican Speaker of the House and voted "no" on a Republican proposal to cut taxes! That’s something I never imagined I’d see. Then, at three this morning, in an apparent show of vindictiveness, Speaker Leonard retaliated by stripping one of the dozen heretics, State Representative Jason Sheppard, of his chairmanship of the Financial Services Committee. Leonard said that Sheppard looked him in the eye and lied, promising to vote "yes," and voted "no" instead. Had this been a parliamentary democracy like Canada's, Speaker Leonard would have had to resign in disgrace. The first law of legislative leadership is this: If you don’t have the votes to get a bill passed, don’t allow a roll call. But not only did Tom Leonard allow a vote, he pushed for one. What he got was a highly embarrassing vote of no confidence in his leadership by a dozen members of his caucus. Had this been a parliamentary democracy like Canada’s, Speaker Leonard would have had to resign in disgrace. What is most baffling is -- why now? There was absolutely no need for this. The first skill any legislative leader needs is the ability to count. There was no reason to rush through a vote on this; it’s the beginning of the session. Assuming Leonard realized he might not have the votes, he should have postponed it and spent a few more days cajoling the troops. If that didn’t work, then the bill could have been sent back to a committee and quietly allowed to die. But instead, the Speaker put his head down and rammed it into a wall. The first skill any legislative leader needs is the ability to count. On one hand, you could say that defeating this bill showed extremely good sense. The last thing we need is a tax cut that wouldn’t have put any meaningful money in the pockets of consumers, but which would have blown a billion-dollar hole in the state general fund. That would have meant hello to vast tuition increases and goodbye to road repair. And there’s something else: If the Speaker truly had the respect of his caucus, they could have given him this vote even if they didn’t like the bill. Neither the state Senate nor the governor was about to let this become law. Instead, in his first at-bat in the major leagues, the Speaker struck out in a humiliating fashion. It remains to be seen if he can get back in the game. Well, at first glance it might look like the legislature came to its senses yesterday, at least so far cutting the state income tax is concerned. Unfortunately, it didn’t. The lawmakers did drop the infantile notion of completely getting rid of the state income tax. They also backed away from cutting it from the current 4.25 percent to 3.9 percent overnight. But they still want to make that cut – just gradually, over the next four years. Well, it is still deep winter, even if it doesn’t feel like it. The Super Bowl is over, and the baseball exhibition season hasn’t gotten started. So naturally, the restless minds of those interested in politics are turning to the next election, or make that, elections. State Senator Coleman Young Jr., who is term-limited and will need a new job, has announced he is running for mayor of Detroit.